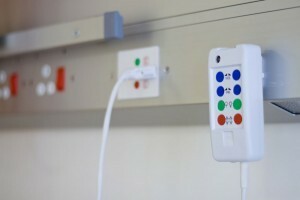 A modern nurse call system is essential for care facilities. Most hospitals and care facilities rely on the nurse call system to administer consistent, high quality care to patients. With the progression of modern technology, many facilities are updating their equipment. From digital files to state-of-the-art intercom systems to intelligent door access systems, care facilities are embracing modern solutions and updates for the healthcare industry. The nurse call system has come a long way since it was invented by Florence Nightingale in the mid-1800s. If you are equipping your care facility with all the most modern amenities, then that should include a modern nurse call system. Purposeful rounding improves the consistency of nurse visits by providing a structured schedule for nurses to follow. This can reduce the amount of times a patient hits the nurse call button, since they know exactly how long it will be until the nurse comes back. A good nurse call system can actually improve purposeful rounding through the use of wireless communication. Wireless communication between nurses, patients, and doctors helps nurses to know exactly what they need to do next and where it’s most important for them to be. This additional structure helps an already structured system to be even more efficient. Are you developing new units or wings to your facility? Or are you accepting more patients than before? You’ll need to make sure that your nurse call system keeps up with the growing demands of your health care facility. Adding new, up-to-date nurse call systems in your care facility ensures that everyone is taken care of. This entry was posted on Monday, September 26th, 2016	at 4:00 pm	. You can follow any responses to this entry through the RSS 2.0 feed. Both comments and pings are currently closed.